General Fire and Safety wants to keep your company and its employees safe. Especially those who deal with potentially dangerous gases every day. We offer the best gas detection devices available. ALTAIR® offers gas detectors and air monitors featuring advanced sensor technology and product durability, providing safety and reducing the total cost of ownership. Durable, dependable ALTAIR® multi-gas detectors simultaneously detect and measure the presence of multiple gases at once. Some models can detect up to as many as five different gases in one area. The ALTAIR® models boast a four-year sensor life, which is 60% longer than the industry average, and a 24-hour run time, which exceeds the industry average by 71%. 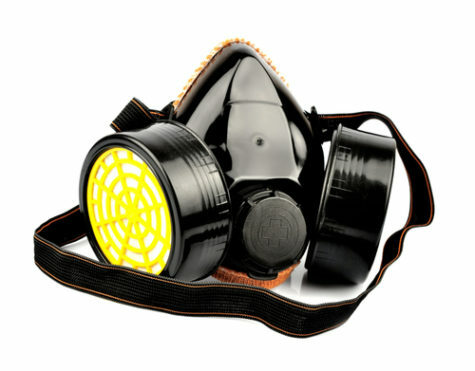 This gas detector serves industries that demand sensitive detection of multiple gasses, such as welding and firefighting. ALTAIR® single and two-gas detectors are designed with patented sensors that feature a superior life span of over two years. These single- and two-gas detectors feature sensor and alarm options for carbon monoxide detection, hydrogen sulfide detection, and oxygen detection. A one-button operation system, dust and water protection for the sensors, and high RFI resistance provide heightened safety, durability, and usability. Get easy and accurate calibration with an all-in-one calibration kit. ALTAIR® offers 14 different types for sensor and instrument calibration. Kits include zero and span cylinders, regulators, tubing, accessories, and instructions. All calibration kits come in a lightweight carrying case, making it easy and convenient to carry and transport to job locations. The GasAlert Max XT II Monitor is a multi-gas monitor with an internal pump that detects and monitors toxic gas levels. It’s perfect for confined space workers, oil rig workers, sewer technicians, engineers, firefighters, military personnel or anyone else who works in hazardous spaces. Sporting four gas sensors for detecting hydrogen sulfide (H2S), carbon monoxide (CO), oxygen (O2) and the LEL of a variety of dangerously combustible/flammable gases, the GasAlert Max XT II portable detector also features an internal pump for remote sampling. It comes calibrated with a fully-charged battery and is ready to use right out of the box. Solid and durable, the GasAlert Max multi-gas detection unit has a concussion-proof housing, as well as an IP66/67 rating for water resistance. This unit will function well in many environments for quite a long time. The internal sample draw pump is easy to maintain and monitor, with both moisture and particle filters for protection. These filters are easy to change and can be monitored via the filter window. General Fire and Safety offers in-house and on-site calibration service for MSA and BW Honeywell gas monitors. And we offer gas monitor and confined space equipment rental upon request. General Fire and Safety is your one-stop shop for all of your fire equipment needs! Call us today! (402) 281-1770 | Ultimate Protection. Superior Service.